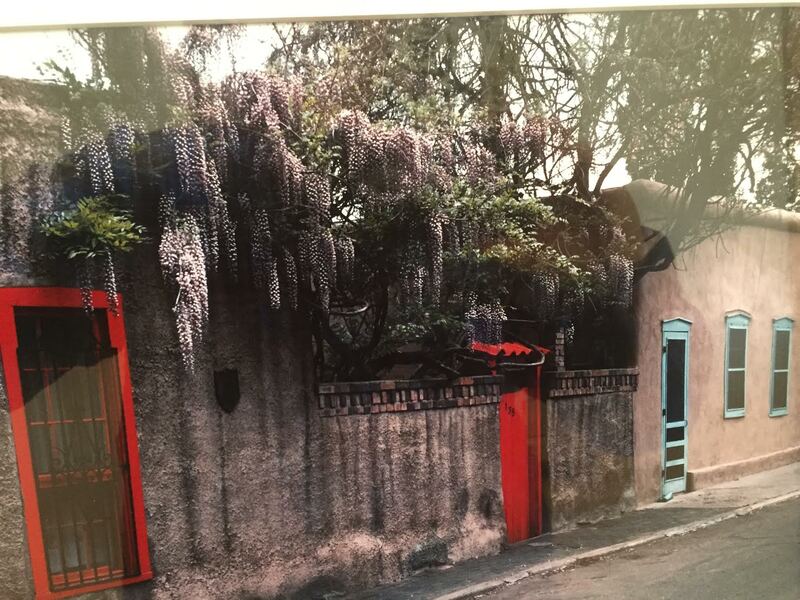 Now I have a new Santa Fe scandal to think of when I look at a favorite Bill Clark photo of the Barrio de Analco hanging on a wall at home. This also continues long-time real estate associations with the Griego family. When we first moved to Santa Fe in 1959, we rented a house on Garcia Street owned by the famous Acequia Madre neighborhood grocer Tito Griego, late father of recently resigned state Sen. Phil Griego. 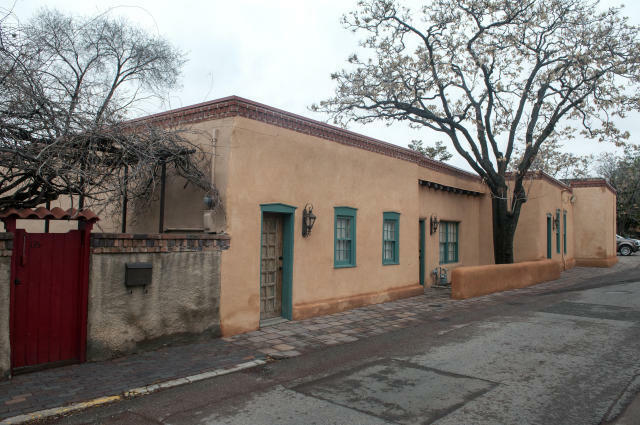 Here is Thom Cole’s column from the Sunday Journal on the dubious Phil Griego deal involving an adobe brown house with turquoise trim on West DeVargas Street in the Barrio de Analco, a quiet place tucked in among the Supreme Court Building, the Capitol and the San Miguel Mission, or the Oldest Church, and just around the corner from the Pink Adobe. Bill Clark’s old photo of the street in lilac season included the same house. 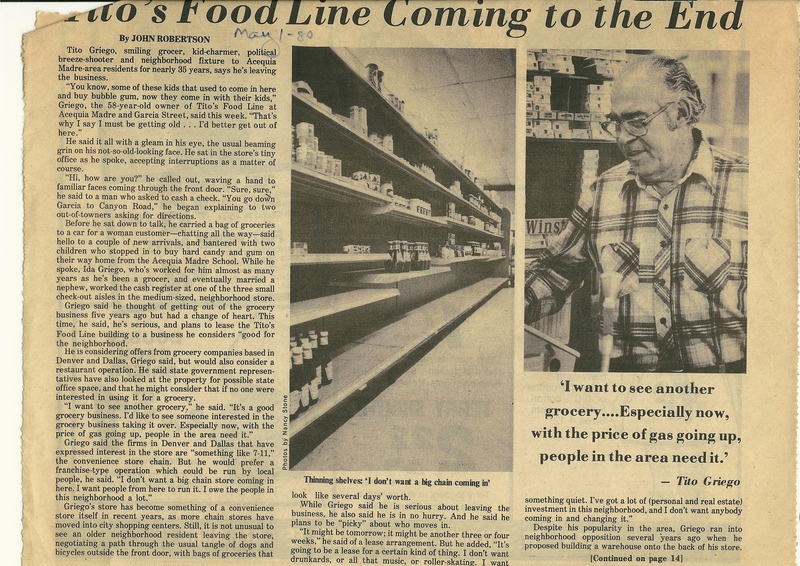 Meanwhile, I wrote for the Santa Fe Reporter in May 1980 about the aftermath of a long-dreamed of move of Griego’s father’s grocery from the original Tito’s market on Acequia Madre to a new location, catty-corner at Acequia Madre and Garcia streets. Tito’s controversial, behind-the-store warehouse incorporated the space where Garcia Street Books now resides. No scandal here, unless it was in eastside Santa Fe hostility to the friendly, longtime grocer’s plans. 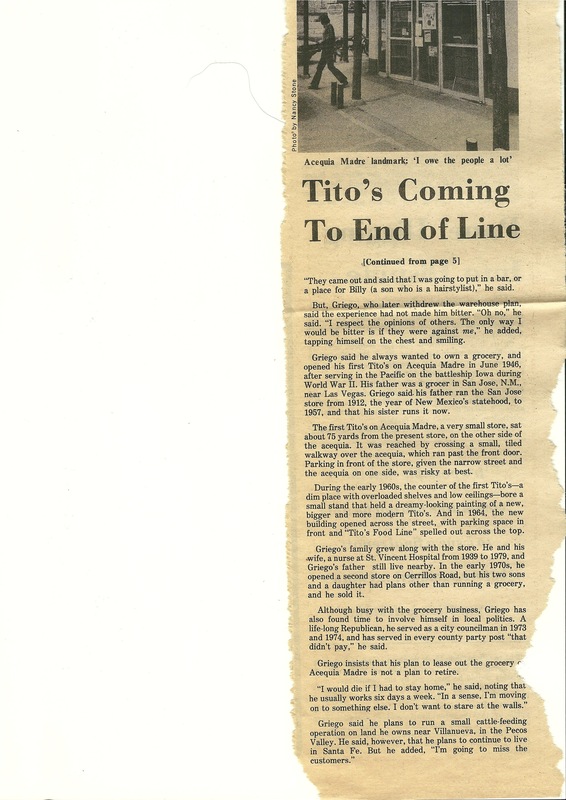 Tito, for years, had a water-color rendering of the new store propped on the counter of his tiny, first market, reached by walking over Acequia Madre Street’s name-sake mother ditch. Despite opening the first store in the neighborhood in 1946, after returning from World War II, he, of course, ran into Santa Fe hysterical-styles neighborhood opposition when he later proposed to add the warehouse to the back of the new store across the street. I was about to include a scan of the 1980 Reporter piece — written when Tito first talked about giving up the new store — but I probably shouldn’t taint other memories here with the report of this latest ethically myopic move by a New Mexico lawmaker. Oh well, what the heck. I always liked the piece — Tito, who had known me since I was a sixth grader at Acequia Madre Elementary, gave me the scoop — and I remain fond of the Griego family. It was the Santa Fe Reporter, by the way, and writer Peter St. Cyr, who last year broke the story about the Phil Griego real estate deal. And Bill Clark, who took my photo, is a former Santa Fe Reporter writer. 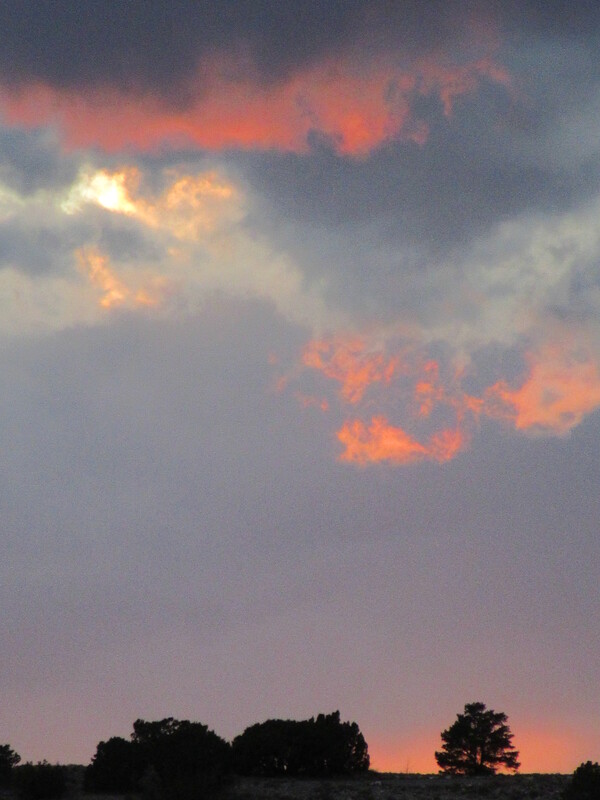 He wrote fine columns for the front of the book and took equally good photographs on his own. The one above was purchased for me off the wall at the former Santa Fe Bar and Grill on Water Street, where I could never wean former Santa Fe journalist Larry Calloway away from the lunchtime hamburgers and first spotted the Bill Clark photo.